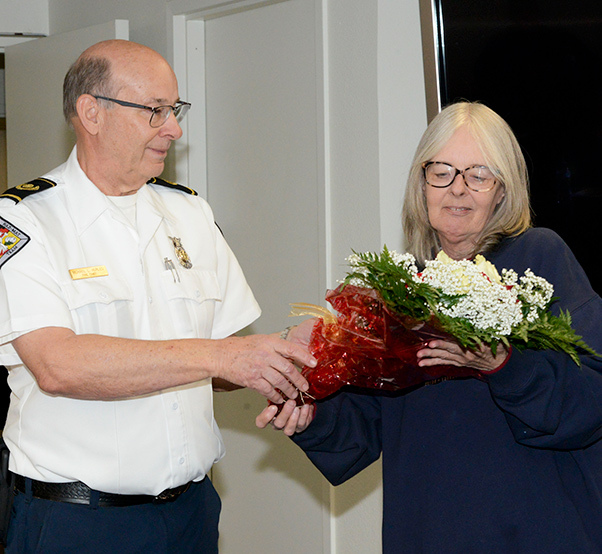 Retiring Fire Chief, Michael Hurles, presents flowers to his wife, Tammy, thanking her for her support during his retirement ceremony at Edwards Air Force Base, Calif., Dec. 14, 2018. Hurles retired after 42 years of service. Installation Fire Chief Michael Hurles retired after 42 years of service during a ceremony at Edwards Air Force Base, Calif., Dec. 14, 2018. As Installation Fire Chief, Hurles led a workforce of 113 civilian and military fire fighters operating out of five fire stations. 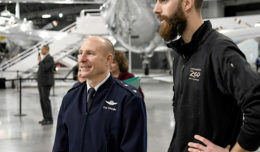 He accepted the responsibility of providing fire protection for 14 air platforms, 773 facilities that cover more than 308,000 acres of base property, and 12,000 personnel within the community without any negative impacts or delays to the Air Force Flight Test Center mission and projects. Additionally, he championed the introduction of multi-agency response for active-shooter events by ensuring fire, security forces, and emergency medical services followed the same response protocols. Retiring Fire Chief, Michael Hurles,receives his certificate of retirement from Maj. Brian Anderson, 812th Civil Engineer Squadron commander, during a retirement ceremony at Edwards Air Force Base, Calif., Dec. 14, 2018. Hurles fostered relationships with surrounding counties and California City by providing fire protection and emergency medical response, through mutual aid agreements, in an expedient manner limiting loss to life, property and endangerment to the environment. 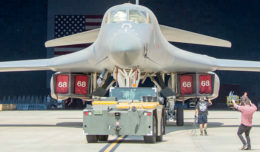 His knowledge led to successful fire protection programs covering space shuttle missions to multiple projects at AFRL encompassing TAM Motor Testing, advanced third-stage rocket motor tests, Trident missile testing, Atlas solid rocket booster, and XLR program. Hurles’ 42 years of service led to Edwards playing a large role in fire and emergency services by winning the 1993 “Best Fire Department in the Air Force” award; “Best Large Fire Department in Air Force Materiel Command” in 2004, 2013 and 2014; and the “Fire Prevention Program of the Year in Air Force Materiel Command” award in 2015. 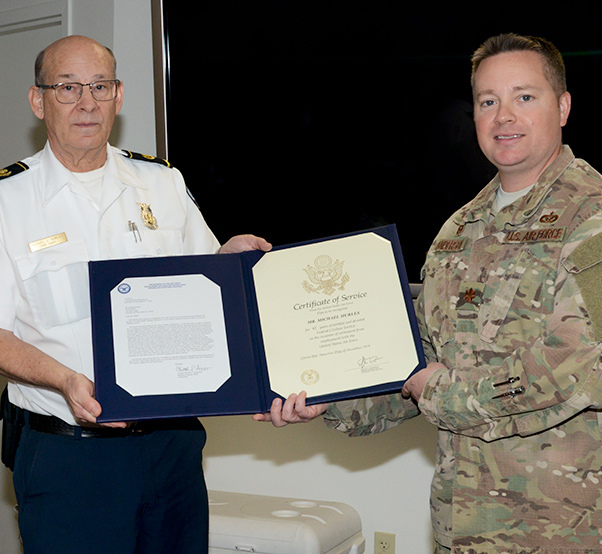 Under his purview, members of the department received the “Chief Fire Officer of the Year” award in 2015 and 2016; and the “Fire Instructor of the Year in Air Force Materiel Command” for 2017. 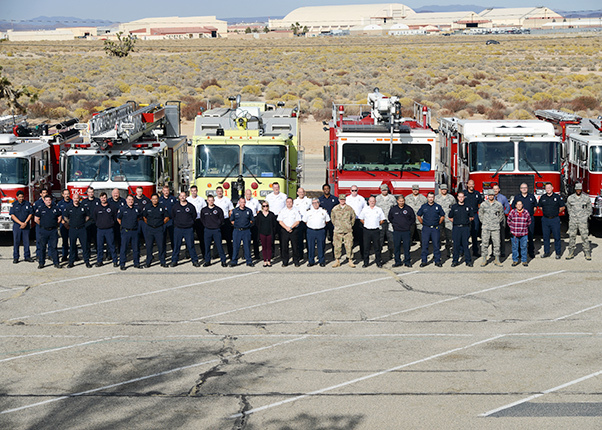 Members of the Edwards Air Force Base Fire and Emergency Services pose for a group photo with retiring Fire Chief, Michael Hurles, at Edwards Air Force Base, Calif., Nov. 16, 2018.